How many Palms can you name? When our family first moved to Far North Queensland I had only ever really thought about one kind of palm tree, the coconut palm, so often portrayed in movies of desert islands. 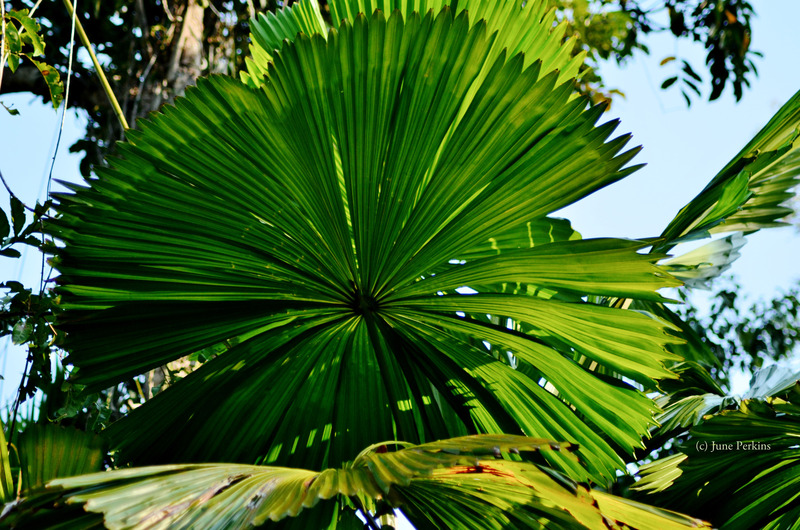 But I was soon to become familiar with the Licuala Fan Palm. This palm is an integral part of the environment that inspired much of the poetry of Magic Fish Dreaming. It is distinctive and common in the Cassowary Coastal area. Mission Beach has over 50% of the remaining fan palm forests left in the world. These palms are incredibly resilient to cyclones. How many variety of palm trees can you name? Latest over at the Magic Fish Dreaming Blog.